Doug Jones’ acting career spans three decades and multiple species; the one-time contortionist has put his gangly frame to good use in sci-fi, fantasy, and horror films like Pan’s Labyrinth, Hellboy, and The Bye Bye Man. But before he appeared on Buffy The Vampire Slayer or played the Silver Surfer, Jones was just trying to make a living like any other working actor. This usually means doing a commercial or two, which Jones did for McDonald’s. 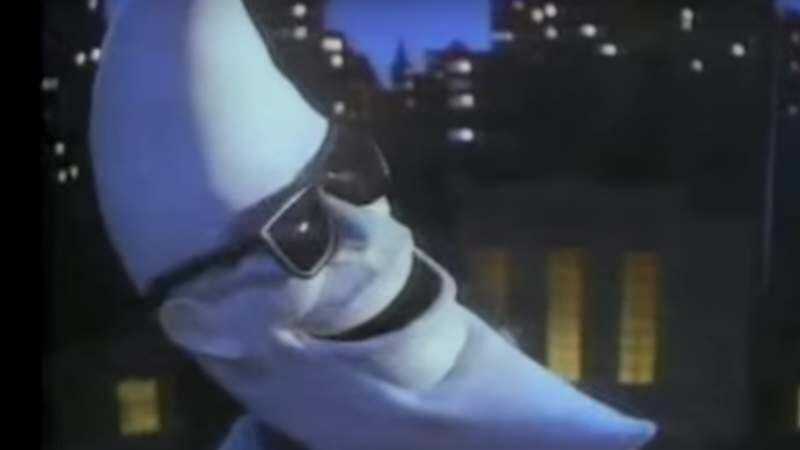 In fact, his first major onscreen appearance was as the star—er, moon—of McDonald’s “Mac Tonight” commercials. There was no internet sleuthing involved in tracing Jones’ special sauce origins; the actor simply reminisced about his big break on Facebook. Yes, as Jones points out, he’s always worn loads of prosthetics well. Here’s one of the commercials for your enjoyment, nostalgia, or Bobby Darin fandom.